Over the course of the past several months, something unprecedented has taken place in the U.S. Treasury market: Nations around the world have been selling treasuries at an alarming rate. The troubling amount of treasuries being liquidated by foreign countries now places the total of “custodial paper,” or treasuries held in reserve, in the Federal Reserve’s custodial account at $2.805 trillion. This is the lowest level since 2012. Meanwhile, private buyers are quietly compensating for the sell-off, but there’s no reason to believe they won’t decide to start ditching treasuries as well. If and when private buyers also begin to purge treasuries, the fallout will be severe, and the financial stability of average Americans could be at stake. What we’re witnessing could be the largest sell-off of U.S. debt in recent history, and it’s happening with “unprecedented” speed. 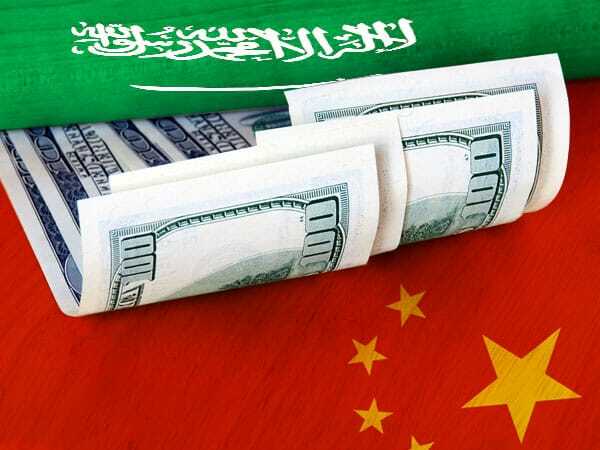 China, Saudi Arabia, and several other nations are rapidly dumping treasuries, and the impact could put the American public at risk. The reason for this spike of selling lies in the urgent need for countries like China and Saudi Arabia to offset global downward pressure. China probably wants to use these treasury liquidations to prop up growth and show strength to the rest of the world – despite its own economic slowdown. While Saudi Arabia is probably searching for a way to mitigate its issues from the ongoing oil slump. But in an effort to move their own agendas forward, these countries could be setting the U.S. up for trouble. Private buyers and smaller nations are currently the only parties keeping the U.S. Treasury situation from degrading further. But if they decide to follow the lead of countries like China and Saudi Arabia, it could be a serious problem. At that point, the Federal Reserve would be forced to step in with further quantitative easing (printing money and artificially lowering rates) to keep the economy afloat. And as we’ve already seen time and time again, that strategy only prolongs the inevitable: a major recession and stock market correction. Could This Trigger the Next Recession? Speaking of recessions, it’s worth noting that the U.S. is long overdue for one, and this could be one of the catalysts that finally brings the next one about. Americans with a keen eye on the market will likely take this as a cue to start preparing for the next downturn, and consider using precious metals to do so. This gives us two good reasons why today could be one of the best times to reevaluate your strategy and incorporate gold accordingly: 1) An increase in both gold buyers and global uncertainty as a result of what’s happening right now in the U.S. Treasury market could drive gold prices upward, and 2) when the next perennial recession does arrive, it will position gold and other precious metal prices to rise even further.